UFV is offering two health-focused events in Chilliwack on Monday, March 14. At noon, a panel of youth mental health advocates will be discussing current challenges and possible directions related to youth mental health in our communities. 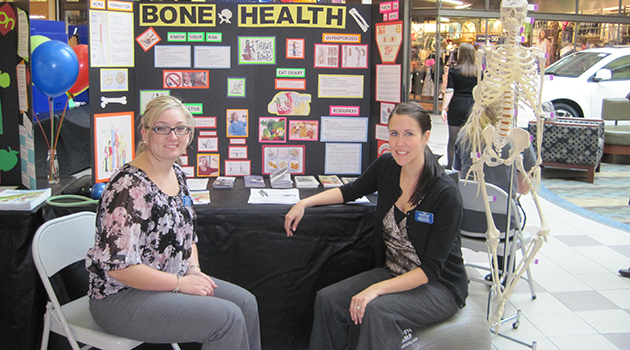 And running all day is a health fair in the atrium, presented by nursing students. The panel discussion, part of the School of Health Sciences Dean’s Speaker Series, takes place from noon to 1 pm in the Aboriginal Gathering Place (A1457) at the UFV Chilliwack campus at Canada Education Park. Youth mental health is an emerging topic of concern to communities around the world. At the provincial level, it is estimated that 140,000 children and youth in British Columbia experience mental health disorders. Selected from a diverse range of fields, organizations and areas in the Fraser Valley, the panelists will be: David Bayne, Karen Copeland, Tia Noble, Tasha Couture, Paul Enns and Trish Lewis. David Bayne is a clinical coordinator for the Fraser East Early Psychosis Intervention Program (EPI). He has been involved in the delivery and coordination of the EPI program for the past 12 years. Bayne registered as a Psychiatric Nurse in the UK 20 almost years ago starting out in Acute Inpatient Psychiatry before moving to community mental health work. He trained as a CBT Therapist for psychosis and was a licensed non-medical prescriber before relocating to Canada. Tia Noble is currently department head of UFV Counselling Services, and has worked as part of the UFV counselling team for five years. Noble has a wealth of experience with youth and adults in community and post-secondary settings. She has worked with a diverse client population who have often been faced with multiple barriers and dealing with complex therapeutic issues. She has a variety of special interests that you can expect to be a topic of conversation, they include: anxiety, career counselling, crisis intervention, depression, life transitions, stress management & wellness, and mindfulness based stress reduction. Tasha Couture is a youth advocate with a passion for mental health awareness. She has been engaged in Chilliwack’s mental health community for three years, and plans to be part of it for many more years to come. Paul Enns is a team leader at Abbotsford Youth and Mental Health and Trish Lewis is a counsellor at Sardis Secondary School. The panel will be moderated by Michael Gaetz, an associate professor in the UFV Kinesiology department. As moderator, Gaetz will draw upon his expertise in clinical neurophysiology, stress and chronic disease, and pathophysiology. Admission for this event is free and open to the UFV community and the general public. Running on the same day as the mental health panel is the annual Health Fair. From tips for grandparents on how to support breastfeeding to the facts about ‘study drugs’ for university students, this year’s Health Fair offers advice for the entire family. Running 9 am to 5:30 pm on Mon, March 14, in the atrium of Building A on the Chilliwack campus at Canada Education Park, the fair is hosted by fourth-year UFV’s Bachelor of Science in Nursing students, continuing a tradition that spans nearly 15 years. 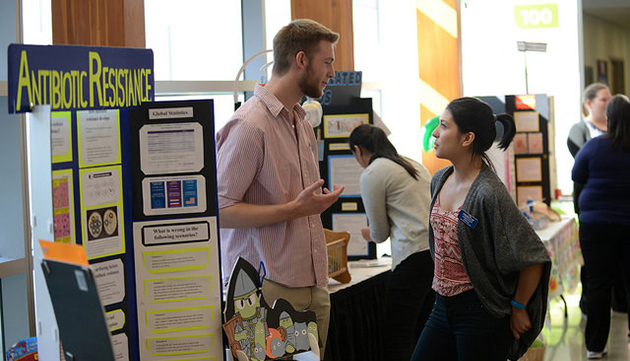 Fairs traditionally operate once in the spring and fall, with students creating booths and offering advice on approved health promotion topics. “It’s a fantastic opportunity for people of all ages to ask our nursing students questions and learn about health-related resources in our community,” says co-organizer and BSN assistant professor Kate McCulloch. The fair has a longstanding history of allowing students to prepare for relevant health promotion topics and deliver accurate, important information on a variety of health topics to a variety of ages. This year’s topics include 13 displays: stress and lifestyle management, healthy sleep habits, physical activity, screen time for young children, childhood mental health, healthy childhood weights, study drugs, mental wellness for university students, emergency preparedness, breastfeeding promotion, effects of UV rays/tanning booths, effects of smoking, and hypertension (high blood pressure).